Mr. W. Skynner's school for 'Young gentlemen' probably began in 1824, the date given in the Education Returns of 1833 (a survey ordered by Parliament) for the only school apart from the Grammar School not to admit girls. 20 males attended the school at that date, but these appear to only be the day pupils. In 1828 Mr. Skynner's school was about to re-open in a more 'commodious' house in East Street. The following year a property in East Street occupied by William Skynner was up for sale. It comprised a dwelling house, courtlage, outhouses and garden. Mr. Skynner's Classical and Mathematical Academy was re-opening in June (presumably after the holidays). Mr. Skynner describes himself as being 'of Magdalene College, Cambridge'. The only William Skinner who seems to fit those listed in the online database of Cambridge University graduates is a William Skynner of Magdalene, son of John. Aged 33, he was a 'ten year man' when he was admitted in January 1833, which suggests that he was reading for a Bachelor of Divinity degree. * He was also a 'sizar', i.e. he received financial help. William continued to advertise in the coming years. For example, in 1840 Mr. W. S. Skynner's Classical and Mathematical Establishment was about to re-open. Situated in East Street, it operated on 'moderate' terms. The 1841 census shows William Skynner aged around 45, schoolmaster, living in East Street with his wife Sophia and William aged 9. All of them were born in the county. Proceeding up from Cad Lane (now Stapledon Lane) on the northern side of the street there were two properties after their home before the junction with Roborough Lane - this suggests that their house may be what is now 63 East Street. As well as the family and two servants, 13 pupils were in the house on census night: Tom, William and Henry Wyatt, William Wells, Henry Banks, James Lloyd, Thomas Matterface, Joseph Morgan, Francis Lloyd, John Beazley, Charles Rennell and John and Henry Seward. Their ages ranged from 10 to 15, and the last three named were born outside the county. William Mudge Skynner, the son of William and Sophia, had been baptised in Ashburton in December 1831. Given that his middle name is Mudge, it seems almost certain that the marriage of Sophia Mudge and William Skynner in January 1827 at Ashburton is that of his parents. By 1842 Mr. Skynner was advertising for an assistant, but sadly, all was not well. By October of the same year his wife was compelled to advertise that Mr. Skynner had suddenly left the town, 'supposed to be labouring under a depression of spirits'. Mrs. Skynner was continuing the school with same tutor who had assisted whilst her husband was in Cambridge. By the middle of 1843 an articled pupil is wanted at the school, but a few months later Mr. Skynner, 'Member of Magdalen College, Cambridge' has died after a short illness. He was 53. 1843 'died Mr. Skinner of Magdalen College, Cambridge, who “for 20 years conducted a musical and mathematical school in this town”. See Background to the Tombstone survey, in the Churches and Memorials sub-menu. William Skynner died in the December quarter 1843, Newton Abbot district. Mrs. Skynner was continuing the school in 1845, providing a 'liberal and solid' education in, amongst other subjects, classics and mathematics. Elocution and deportment were a particular focus, and the school had 'ample grounds for the purpose of exercise and recreation'. But by August the property, on a '3 lives' lease, was up for sale, with an auction about to be held at the Red Lion. Four rooms were on the ground floor, one of them, 22 feet by 12 foot 6 inches, being used as a schoolroom. On the first floor were three bedrooms and a drawing room, with a further four bedrooms on the second floor. The kitchen, wash-house, cellar and coal-house were in the basement, and the three quarter acre garden currently included a playground for the school. The schoolroom and rooms over it had been erected within the previous three years. In 1847 a case came before the Newton Abbot County Court concerning a Mrs Skynner, who kept a boarding school - Thomas Teague, a conducting master at the school, was suing for arrears of salary of £20. In fact he was owed more, but kept the claim to that amount to save going to a different court. He had been at the school for three years. The school was apparently in financial difficulties, as meals for the boarders had become irregular, with bread being served that was unfit to eat. Mrs Skynner's sister, Mrs Bowden, had appeared on the scene from Weston, and the two ladies had been busy packing up furniture: two cartloads had been taken away. 'Mrs. Skynner was quite beset with her creditors.' The day scholars were taken into the school by a different door to usual - the door onto the street was locked. The Defence claimed that Mr. Teague's departure had precipitated the breaking up of the school, but the Judge thought that he 'had acted very prudently'. Finding in favour of Mr Teague, the Judge ordered Mrs Skynner to pay the salary that was owed, but her counsel stated that she was about to 'take the benefit of the Insolvent Act'. A petition had been filed by Sophia Skynner on 6th November 1847. The final order was in February of the following year, but it was opposed by Mr. Thos. G. Teague, a principal creditor. * Previously Mr. Tucker, representing several creditors, had opposed her. She admitted selling china to Mr. Bate (value eleven or twelve pounds), but said that she had not entered it onto the required schedule because she owed him money. All her goods, excepting those allowed, had been sold, including furniture and a mahogany four poster bed for £2 at Plymouth, and another four poster bed for £1. She said the only plate she had were two silver teaspoons. Her account was contradicted by Elizabeth Floyd, who had been in the household for two months the previous autumn - she had seen four silver teaspoons, and a 'handsome' tea-urn. Mr. Francis, acting for Mr.Teague, asked if it was necessary for a gold watch to be counted amongst the items allowed to the insolvent. She owed her creditors £450, but said that she only had £40 to pay them with. Even though it was after nine at night, the court was crowded to hear the judgement. The judge said that he had the 'greatest difficulty in making up his mind about it' but as there was now only one opposing creditor he granted the final order. * I am not totally sure how these bankruptcy proceedings worked, but they appear to be a negotiation between the bankrupt and the creditors, the bankrupt listing their assets, showing what they can afford, and the creditors either accepting that assessment, or challenging it. The final order apparently settled matters once and for all. Sophia died in the December quarter 1848, Newton Abbot district, and in March her creditors were to receive a portion of her assets. In 1851 the premises which Sophia Skynner had used as a school were up for rent. Situated in East Street, the advertisement said that she and her husband had occupied them as a boarding and day school 'for many years'. William Gifford: 'As soon as I was old enough to be trusted out of her sight, [my mother] sent me to a schoolmistress of the name of Parrett, from whom, in due time, I learned to read. I cannot boast much of my acquisitions at this school; they consisted merely of the contents of "The child's spelling book" '. Richard Carlile: 'My first schoolmistress was old 'Cherry Chalk', who taught me the alphabet on a horn book, and performed all sorts of cures without medicine by the potent power of charms. She was a witch...... Whether old 'Cherry Chalk' perfected me in the alphabet I cannot now say.......I had two other school mistresses of a more respectable stamp than old 'Cherry Chalk'. I believe the first taught for three half-pence a week and the other for twopence. When I got to a five-penny school it was considered an extravagant affair, too expensive to be borne, and a successful effort was made to put me upon the list of free scholars'. In 1783 The Weekly Entertainer, a 'Collection of select pieces both in prose and verse, curious anecdotes, instructive tales' etc., said that John Higgins, of Mr Hannaford's school, Ashburton, had provided an answer to an 'enigma' (riddle) published in a previous edition. J Hannaford - possibly connected - also answered 'Tasso's question', an algerbraic puzzle. An advertisement appeared in the Exeter Flying Post for a school run by the Miss Weatherdons, formerly run by Miss Mudge. It was for the education of Young Ladies, and had particular concern not only for instruction, but also for their health and morals. A linen and silk work sampler from 1822 was sold in February 2018 (not in my possession). The sampler, of which only part remained, was sewn at Miss Sparke's school in Ashburton. The work consisted of a verse, 'Weeping Mary', with a floral border. The child's name did not survive. In 1828 the Rev. W. C. Kitson, an Oxford graduate, was advertising for a small number of pupils to be taught at his house. Miss S Ball's boarding establishment was re-opening in January 1830, with 'the greatest attention...paid to the health and domestic comfort of the Young Ladies'. There was instruction in English language, history, geography, use of the globes, plus plain and ornamental needlework. The fees were 20 guineas per annum. In 1831 Miss S. Ball announced that she was moving her school from Ashburton to Torquay. She aimed for 'health, morals, comfort and general improvement' in her pupils. Miss Ball's sister, who had been giving private tuition, was going to continue a 'select school' for junior pupils, with 'parlour boarders'. 1831 An advertisement in the Exeter and Plymouth Gazette announced that a French establishment began on the 14th. Presumably an educational venture, it was run by Mr. Tremlett. In 1833 the government ordered a review of educational provision throughout the country. Ashburton, which had a population of 4,165 at the time, had nine day schools. The Grammar School had 4 males (plus more boarding?) The School was endowed, ie had charitable funds supporting it. 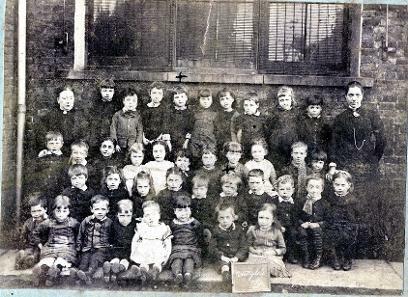 160 to 180 children attended what must surely be the Bourne School, and of these two thirds were male. It also was endowed. Miss Dunning's bequest of £6 per annum supported 10 children in another school which had 7 males and 43 females. The bequest was for reading and 'plain work' (sewing) which explains the high number of females. Parents supplied the rest of the fees. 1824 - 20 males. Mr. Skynner's school (see above) seems to be the only candidate for this school. 1827 - 6 males, 28 females. 1832 (two schools) - 85 males, 20 females. The Established Church - 67 males, 63 females. Wesleyan Methodists - 35 males, 45 females. Independents - 75 males, 70 females. A lending library was attached to this school. Baptists - 20 males, 20 females. In 1839 a lecture on teetotalism was given at the old Baptist Chapel, lent by the Rev.W. Marsh. The Chapel was now an Infants' School. In 1843 almost 200 children belonging to the Independent Chapel's Sunday School enjoyed a tea at the London Inn Assembly Room. 1848 The Rev. R. G. Maul was resigning his duties through ill-health. Although curate for Bickington, he took some of the services at St. Andrew's Church, and had established a school where he lived in Ashburton. A new school-room and lecture hall was about to be built at the entrance to the Independent Chapel. 1850 Emma Ferris kept a school in East Street. The 1851 census shows her as being 26 years old and born in Ashburton. At that time her 12 year old sister Lavinia Beck is with her. Ths Knapman kept a school in North Street in 1850. In 1851 he is a 26 year old preparatory schoolmaster, living with his sister and widowed mother Mary. Schoolmasters and mistresses in the 1861 census. The schools they taught in could have been outside Ashburton, but it seems more likely that they were within the town. Harriet and Caroline Gribble aged 58 and 57. West Street. Elizabeth P Trethawey, daughter of Wesleyan Minister Humphrey P Trethawey, West Street. Her occupation is Keeping a Ladies' School, as is her step-sister's, Hannah Oke. Elizabeth is 25 and Hannah is 27. Elizabeth Ford, a 40 year old schoolmistress. No address is given, but properties in East Street are close by on either side of her. Elizabeth Hooper, a 40 year old widow, is also in East Street. Elizabeth Coneybeare, a 71 year old widow, is in North Street. Samuel Husson is the schoolmaster at Bowling Green (ie the County School/Bourne School). His two step-daughters, Mary Baker and Elizabeth Baker, 27 and 20, are schoolmistress and infant schoolmistress respectively. Frederick Flood, 34, master of the Grammar School, is living in East Street. Susan Griffiths, 33, is living in North Street. From Morris and Co's Commercial Directory and Gazetteer 1870: Miss Prudence Lyle, boarding and day school East St. This seems likely to be Prudence M. Lyle, 11 years old in the 1861 census, when she was living with her father in East Street. By the 1871 census she is with her brother in Hackney St. John, London, but it is impossible to tell whether this was a permanent arrangement. Mrs Mary Mead, day school East St. Probably on the 1861 census. Miss Philippa Elliott, boarding and day school East St. Was a 39 year old governess living in East Street on the 1861 census. She is a schoolmistress in 1871, but by 1881 she is a governess again. There are inconsistencies in Philippa's age throughout the censuses - in 1881 she is 49. 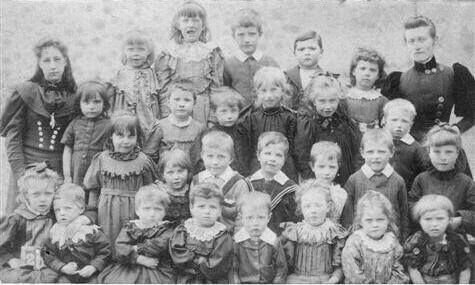 Miss Ford and Miss French, mistresses at Infant school, North St. Miss Ford was probably on the 1861 census. In 1861 24 year old Julia French was a schoolmistress at the School House, but I believe this may have been in the Bickington (?) area. Lord Middleton and Mrs Harris's Charity, Bowling Green - Samuel Husson, master, Miss Mary Baker, mistress. Samuel Husson and Mary Baker were both on the 1861 census. Grammar school St Lawrence Lane - Rev Frederick Flood B A master. He was on the 1861 census. Caroline Lay had gained her BA at London University (see below), which in 1878 had become the first university in the UK to admit women to its degrees. 4 women passed its BA degree in 1880, and in 1881 2 women gained a BSc. Caroline obtained her BA in 1885. By 1895 over 10% of its graduates were women. See the graduates list 1836-1934 on the above site, p463. In 1894 the autumn term of the Ashburton Girls' High School Co. Ltd was to start on September 18th. The chairman of the council was the Rev. W M Birch and the headmistress was Miss Lay, BA from the University of London. Mr Birbeck of Torquay was Professor of drawing, and dancing was to be taught by Madame Bradnee Rinaldi and Miss Hickey. There was a preparatory class for girls, and for boys under 8. The prize distribution of the same year named Miss Cann as assistant mistress and Harold Jones as Professor of music. Pupils: A W Foaden; Jessie Foaden; G L Harvey; Maud Harvey; Elsie Hoare; M L Hoare; C L Johnson; K Yolland. 1896 Ashburton Congregational School distributed the surplus from their Sick and Funeral Club - £68 11s 5d - amongst 114 scholars. In 1901 there were plans to demolish the 'old High School house' in West Street, opposite Sparnham. J H Foaden, who owned Sparnham, offered to do the work for nothing, and in addition donate £100 to the Parish Church, which owned the building. 1906 Ashburton, Buckfastleigh, Brent and Ivybridge Almanack: Ashburton - Grammar School, Chapel St Lawrence, headmaster - Mr James Mortimer B.A. High School for girls, East St - Miss Lay B.A. 'My first recollection of school goes back to 1882 when, with others, I sat on a low form in a Dame's School kept by my grandmother Satterly, who lived at the East Street end of Heavyhead Lane'. Above: An Ashburton School attended by James Henry Wills, who was born in 1890. Circa 1895. Many thanks to Sheila Lafleur for this photograph. Ashburton Museum has a photograph of Miss Hext's School at 26, North Street, circa 1905 – this school admitted both boys and girls. In the 1914 Kelly's Directory for Devon and Cornwall a Miss Bessie Hext was still running a private school in North Street. For younger children ? Miss Bessie Hext died in August 1915. The Western Times described her as the last member of an old Ashburton family. Left: Mrs. Goodwin, who was Station mistress throughout World War 2. (The mother of Margaret Goodwin, later Dawson, who became the canteen supervisor at the secondary school). 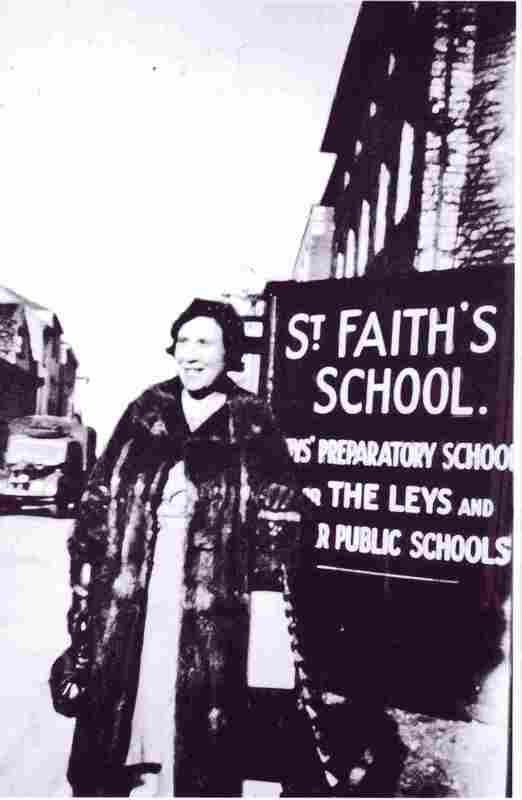 Mrs Goodwin is standing outside The Golden Lion Hotel, where St Faith's School, Cambridge was evacuated. 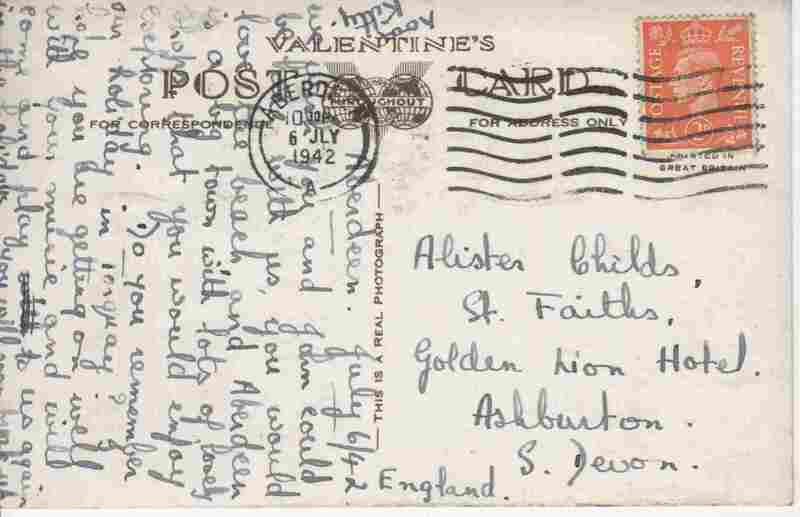 Below: A postcard sent in 1942 from Aberdden to Alister Childs at St Faith's, The Golden Lion, Ashburton. Presumably Alister was a pupil.